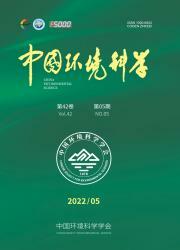 Environmental performance assessment of ecology construction in Zhejiang Province. 摘要 研究构建了以目标渐近法、熵权赋值法、加权综合计算法、雷达图法为一体的综合评价方法和相应的生态建设环境绩效评估指标，分析研究了浙江省11个地级市2006年生态建设的环境绩效空间分布、各地市环境绩效指数与自然资源禀赋、经济水平同环境保护间的相关性．结果表明，浙江省11个地级市2006年环境绩效指数表现出明显的差异，生态省建设环境绩效指数的总体分布格局与自然资源分布格局呈正相关，与经济发展水平呈负相关，呈现出南高北低的空间分布格局． Proximity-to-target, entropy, weighted synthesis and radar map methods were employed to provide theoretical and technical guidance for assessment of environmental performance. Affer defining the environmental performance connotation, a series of evaluation indexes were proposed to carry out the assessment. Detailed analysis in terms of the environmental performance index （EPI） had been finished for 11 cities in Zhejiang Province. There were significant difference among EPI values of the 1 lcities. The EP1 values in south region were higher than those in north area. It was a positive correlation between EPI and natural resource, but a negative one between EPI and economic level. Further researches were required within a much larger region to get deep insights. 作者 张明明 李焕承 蒋雯 卢晓梅 王莉红 ZHANG Ming-ming, LI Huan-cheng, JIANG Wen, LU Xiao-mei, WANG Li-hong（Department of Environmental Science, Zhejiang University, Hangzhou 310028, China）.